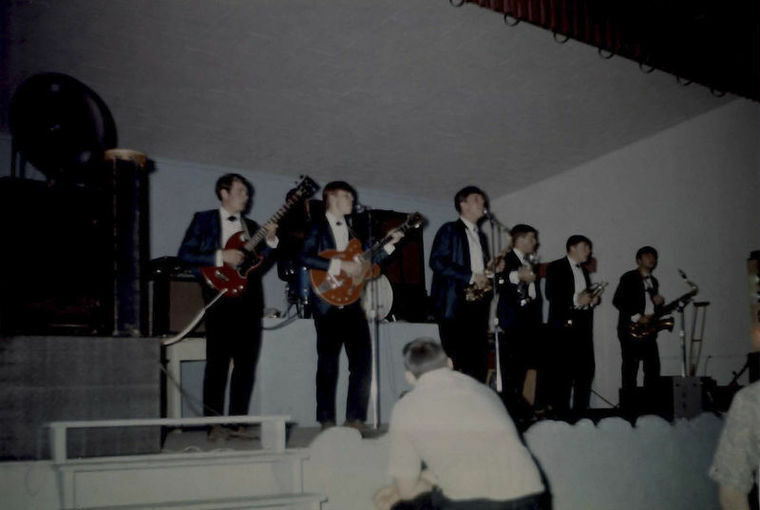 The band began in 1965 in Aberdeen, SD as an offshoot of "The Group", when due to losing a couple of members due to graduation, decided to expand and re - name the band. They started performing at school dances & ballrooms throughout SD, ND & Minnesota. Quickly became an area favorite, playing rock n roll and rhythm & blues. **They were undefeated in 4 "Battle of the Bands". The biggest being a 22-band battle sponsored by KQWB & Herbst Department Store in Fargo, ND. **The New Group recorded a single "Knock On Wood" at United Audio in Mpls, MN that got quite a bit of airplay on area radio stations.